About Micski, system administration, poker, boating, motorcycling and ancestry. 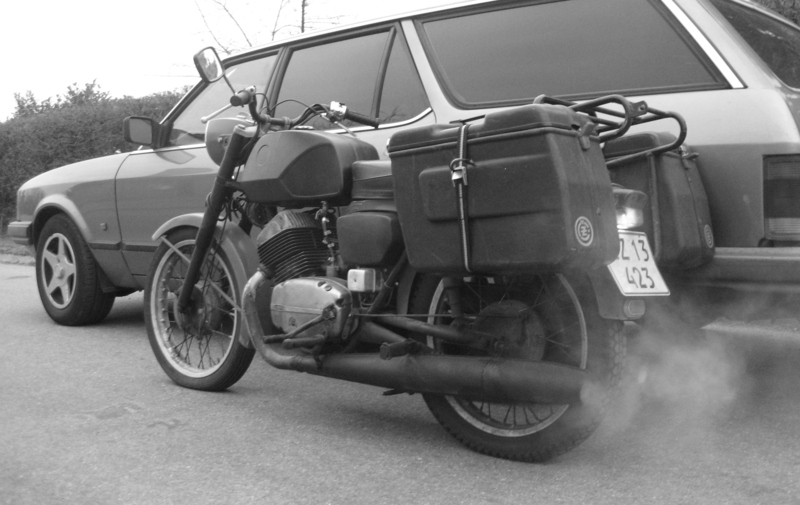 I am lucky to be the driver of a 1976 Jawa CZ 250 Twin Type 471 classic two stroke motorcycle. It has two side cases. CZ was one of the worlds largest weapons factories, founded in Strakonice of the Czech republic in 1919. The factory was made up of smaller buildings to make it look like a village and hide from bomber airplanes in the sky. CZ is a concatenation of Česká Zbrojovka, which translates to Czechoslovakian Weapons Factory. CZ began production of motorcycles in 1932, united with the rival Jawa in 1946, after the war, and produced elegant and robust single and twin cylinder two stroke motorcycles for decades. CZ became one of the largest motorcycle companies in Europe. The Italian Cagiva bought CZ in 1993. 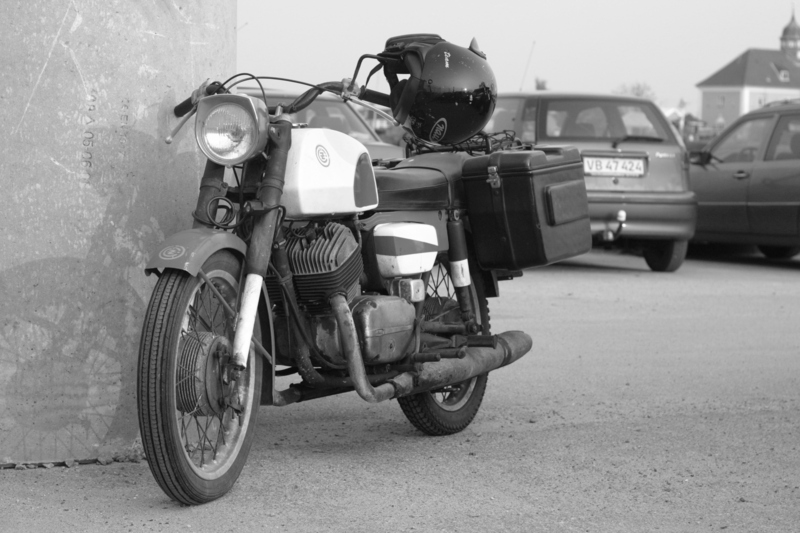 CZ ended its production of motorcycles after 65 years in 1997, but production of the motorcycles were continued by other companies in other countries and by other names, such as Yezdi. It is still possible to obtain spareparts for these motorcycles from JawaShop in the Czech republic. There is a rather large and active forum for these motorcycles in The CZ, Jawa, and Yezdi Club group on Facebook. There are also lots of technical instruction videos on YouTube. If you have any questions, then feel free to contact me. My mail address is micski@micski.dk. If you will be encrypting your message, you should download my public encryption key from the official key servers. 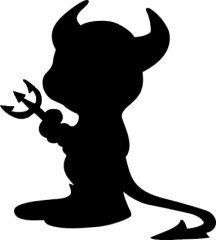 The website is running on FreeBSD – The Power to Serve! All content are subject to copyright.